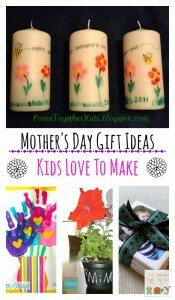 Need a last minute Mother’s Day gift idea the kids can make? I sure did. I have been falling behind on holiday and special occasions over here, lol. They seem to all come so fast. With my wild bunch over here, time goes by so fast. 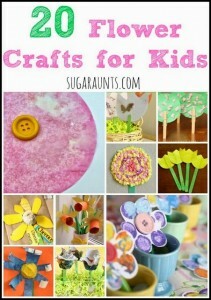 Now that time was running out, I started brainstorming what I wanted to make with the kids for Mother’s Day. 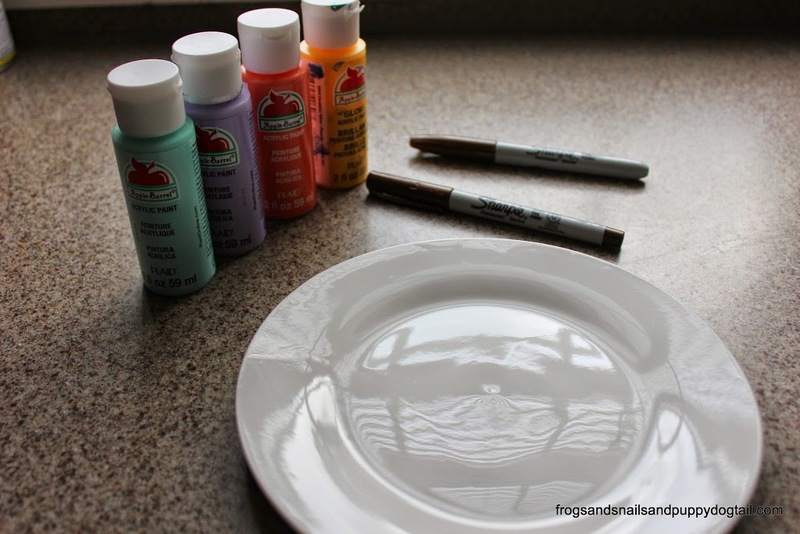 Making painted plates with them has been on my to do list for some time. I have been waiting for the right time or right inspiration to hit to make them with the kids. Now was that time. We had small white plates left from our Snowman Place Mat we did during Christmas. 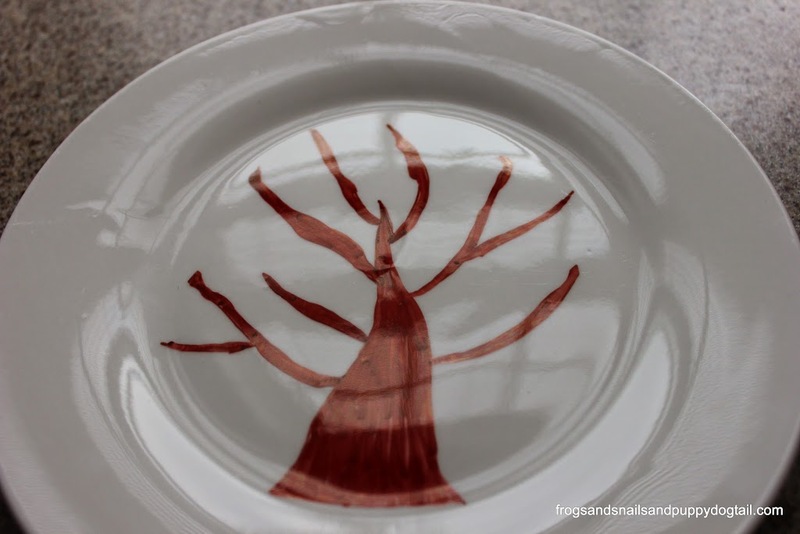 I got one of those out and decided on a classic Fingerprint Tree to create on the plate. Fun for the kids to help make and I just love how it turned out. So much so that this gift is staying home and I will have to brainstorm another idea for the grandmothers. 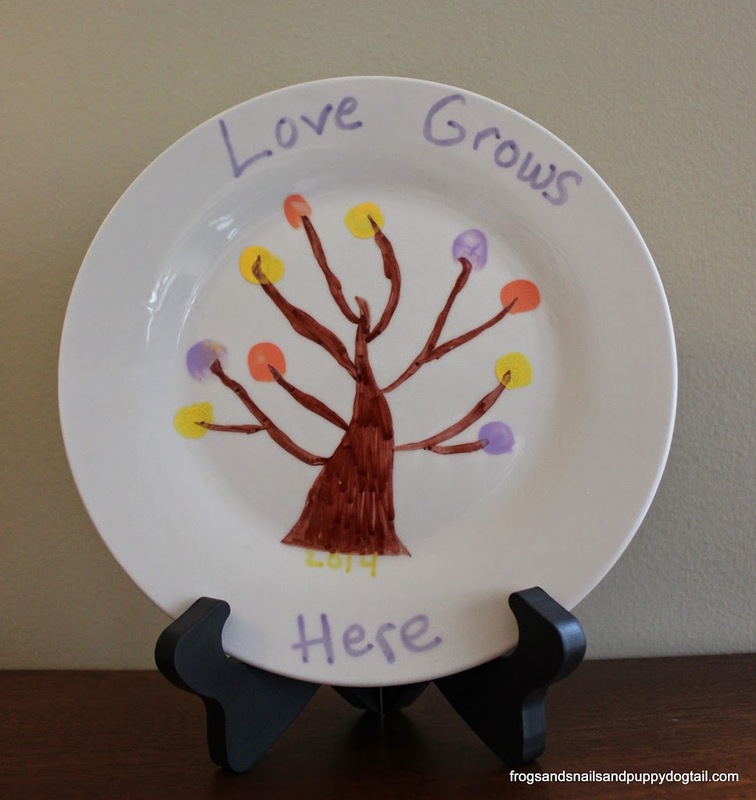 I took a brown sharpie and drew a tree trunk on the white plate. I gave it a few minutes before I had the kids come help. 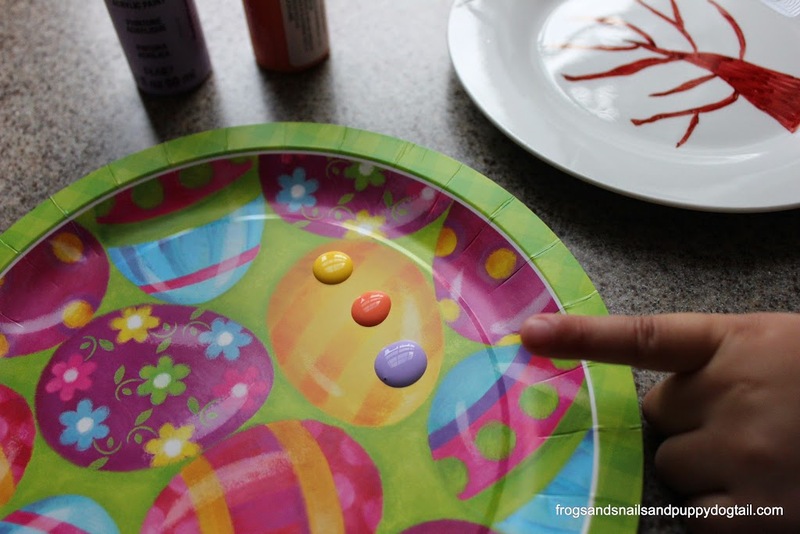 I put drops of paint on a plate and grabbed a few paper towels. I let the kids dip their finger in the paint. Then we did a print on the paper plate first before we made fingerprints on the glass plate. This helps get a better print on the project due to getting some excess paint off first. We left it to dry over night. 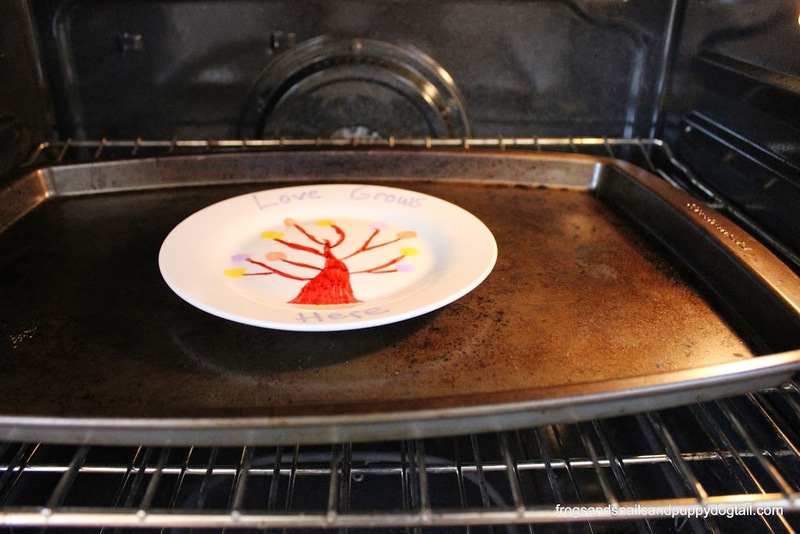 The next day I baked the plate to set the paint and marker. I placed the plate on a baking sheet. I then turned the oven on to 300 degrees. I let the oven heat up while the plate was in there. I left it in there for 30 minutes. 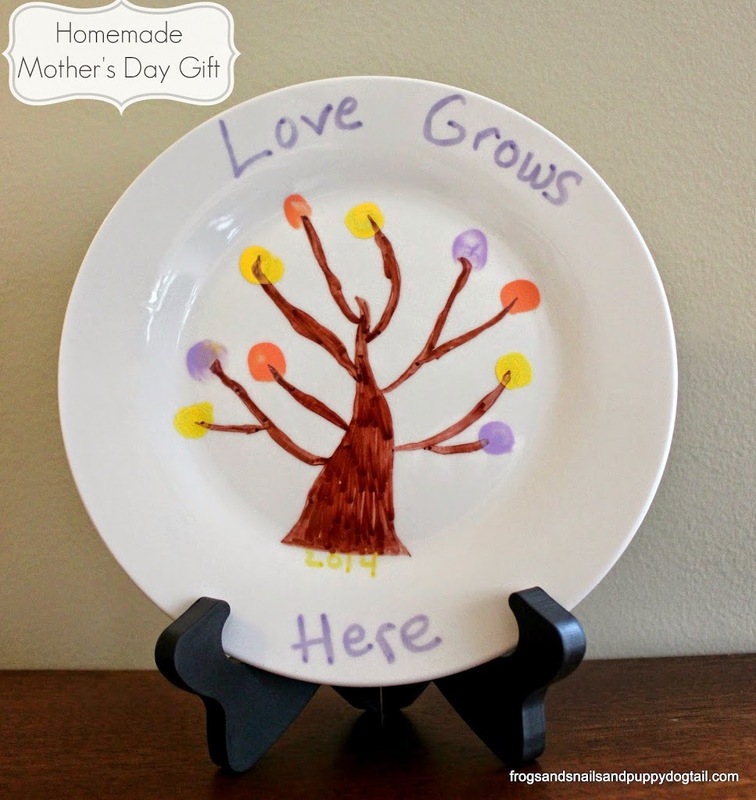 Our final homemade Mother’s Day gift, Fingerprint Tree Plate. 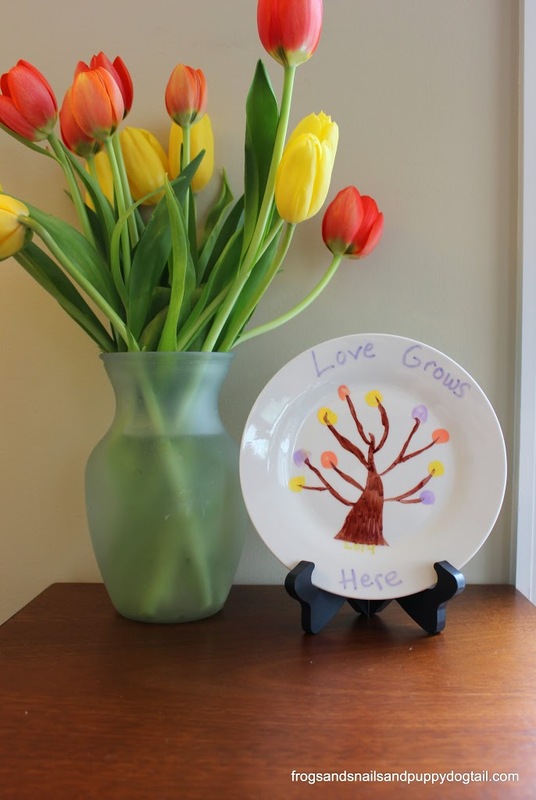 I wrote on it before I placed it in the oven, “Love Grows Here”. I bought a photo stand and placed the plate in it.